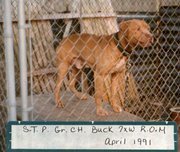 As a pup Buck was sold by Pat Patrick to a physician. He proved to be an unsatisfactory pet and was sold to the late Alan Waldman who matched and won two with Buck in the low 50’s. One over Aldo’s Zeke, who later became a Champion, and the other over Winchester’s Conan. STP purchased Buck from Alan Waldman when Buck just turned 2 years old and campaigned him at his correct weight, 46 lbs. As soon as STP started to work Buck they saw he had incredible stamina. 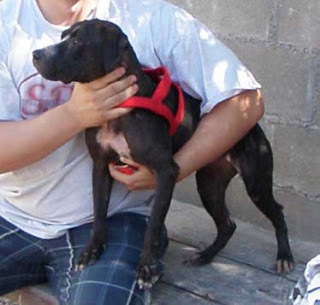 In STP’s hands, Buck demolished all of his competition, which included some highly regarded match dogs. Buck did not dazzle fanciers with ten-minute wins, but he had virtually no weakness as a match dog and always dominated his opponent, no matter what style. Buck’s first match, with STP, was into Tito’s Tonka, which was no match for Buck as Tonka stopped in less than :30 minutes. His next was against Captain America’s Jumbo Jim. Jumbo Jim was a double bred Gr. Ch. Hank dog, and was hand picked to defeat Buck. Jumbo made an incredible scratch at 1:30, but by 1:57 he collapsed in his corner unable to go. 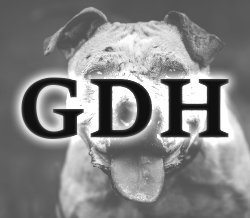 In Buck’s 5th he went into Rodney’s two time winner JR, littermate to Gr. Ch. Yellow ROM. JR was handled at :52 minutes and could not go any further. Jr. later went on to win three more. For Buck’s 6th match was against P. & H.’s Rocky, a rough son of Ch. Jeep and Gr. Ch. Miss Rage. Rocky was picked up in a little over an hour. Rocky went on to win his championship after another loss to Super Gnat’s Gr. Ch. Ace. At this point Buck was retired as a 6 time winner and not yet 4 years old. I was conditioning Super Gnat’s Gr.Ch. Ace for his 4th match, into P. & H.’s Rocky, when I received a call from STP. He explained that after 2 years of retirement, his Gr.Ch. 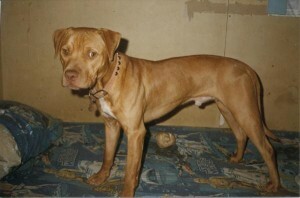 Buck was contracted into Ricky Jones and Gr.Ch. Sandman, at 48 lbs. Both dogs were exceptionally seasoned match dogs with similar styles and STP predicted that the match would be a long one. This was the first time in history that two registered Grand Champions were to meet. Rebel Kennels Gr.Ch. Sandman was bred and raised by Ricky Jones from a Rascal / Jeep and Boomerang cross. 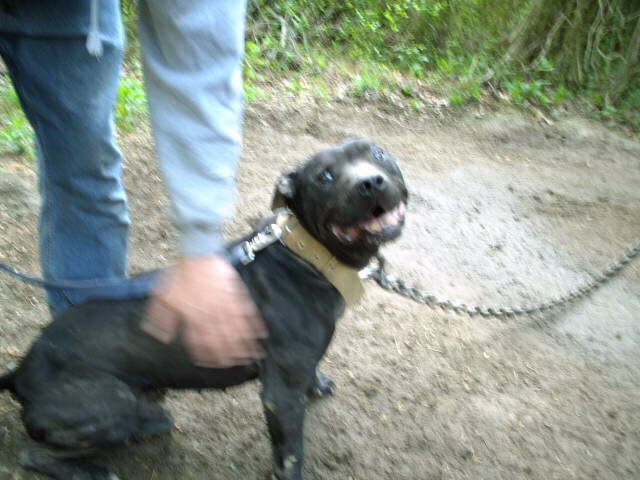 Word had it that Ricky was able to take some of the unwanted dogs from some very good dogmen, and by sheer determination and good sense Ricky had bred bulldogs that could compete and win over the best in the country. 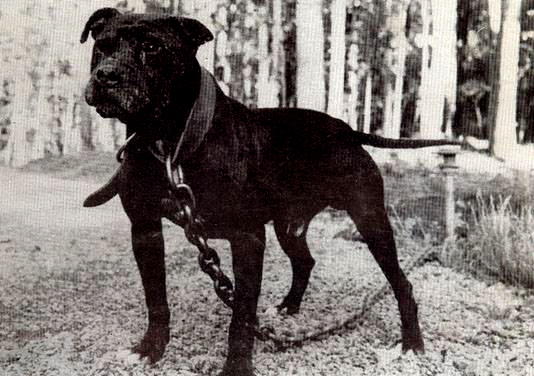 Some of the best match dogs, at any weight, were either owned by Rebel Kennels, or were matched into Rebel Kennels.